December 8, 2017 A long service awards ceremony was held at Fidelity Printers and Refiners (FPR) on the 8th of December, 2017. The long service award ceremony gave the employer the opportunity to thank the employee for his or her service. With 122 employees being awarded certificates in recognition of the work that they have rendered to FPR. Speaking during the ceremony, Mr Fradreck Kunaka, General Manager thanked the employees for the good work that they had done that had yielded positive outcomes in the year 2017. He noted that the success of FPR, was as a result of collective effort. “If we work as a team and remain united, we will yield positive results”, he said. In order for the year 2018 to be a success, employees were encouraged to each play their part and to continue supporting each other. The Human Resources Department responsible for organising the ceremony acknowledged that it had successfully retained employees for a long period of time. “Even when the environment was not conducive, employees have really worked hard to make 2017 a good year for FPR”, noted Ms Chiedza Manungo, Human Resources Manager. 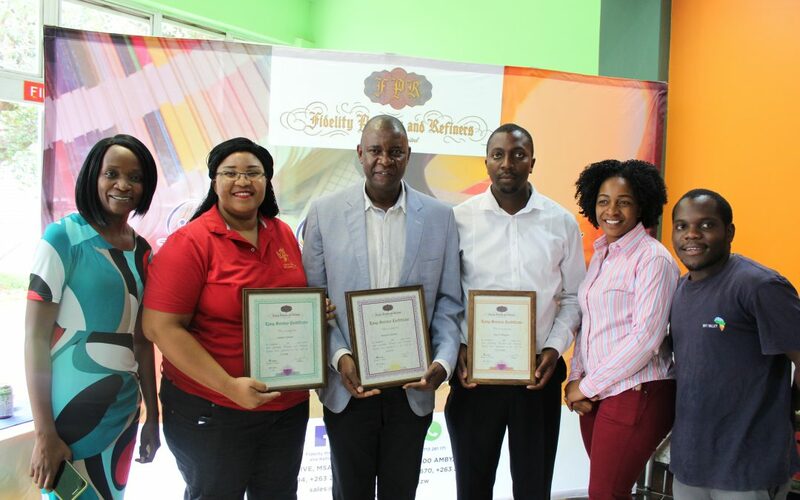 Under the 25-year category, 10 employees were recognised, for 20 years, 5 employees, 15 years, 21 employees and for 10 years, a whopping 86 employees received their certificates. Having a number of employees receiving long service awards, demonstrates that the company has been in a good place deserving employee loyalty and longevity.